Graphic designer Naomie Ross created a unique way for tots to learn their ABCs. Her Anatomy of Type Children’s Book is filled with bold colors and comparisons of letters to real life objects that make learning the alphabet fun for tots. The book, only in prototype stage was Ross’ redesign of a typography anatomy diagram, but this time it’s geared toward children. Graphic designer Naomie Ross created a unique way for tots to learn their ABCs. 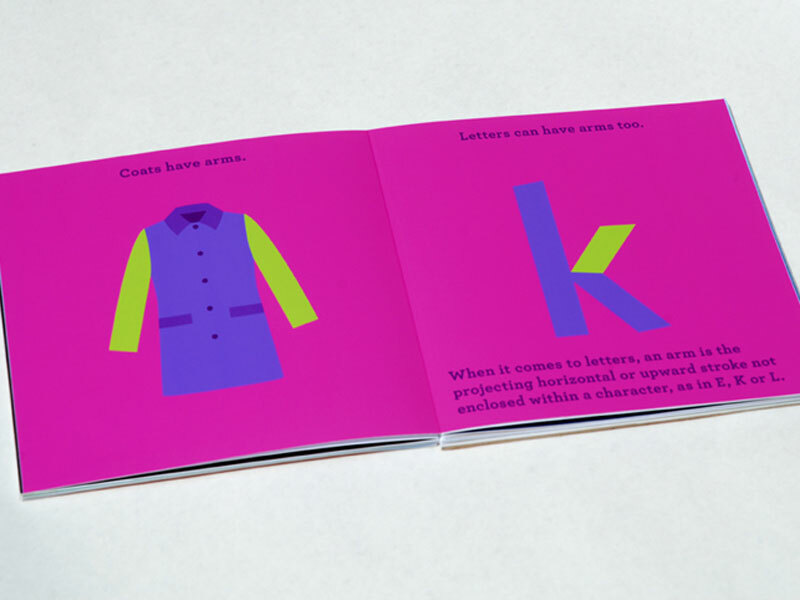 Her Anatomy of Type Children's Book is filled with bold colors and comparisons of letters to real life objects that make learning the alphabet fun for tots. The book, only in prototype stage was Ross' redesign of a typography anatomy diagram, but this time it's geared toward children.